You can change how text in a text box or table cell looks by changing its font, font style (bold or italic, for example) or size; by applying effects such as a shadow or outline; and more. Select the text box or triple-click a table cell. 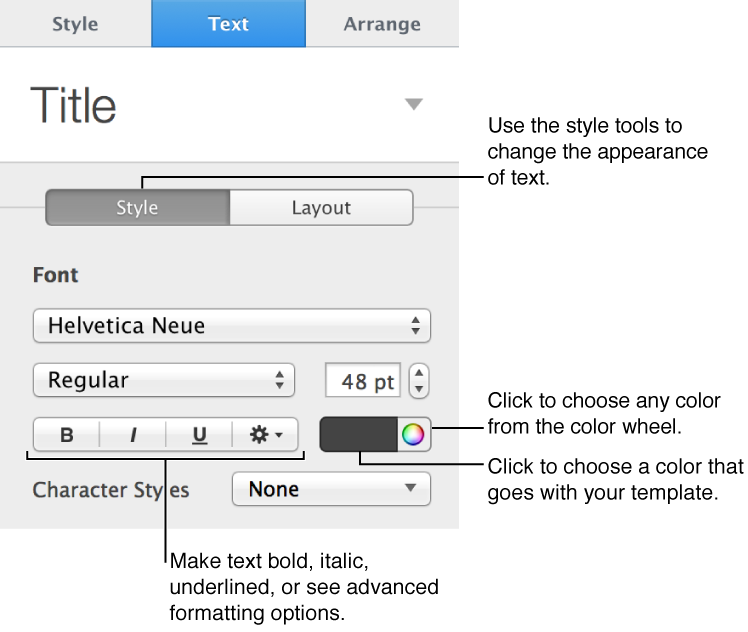 Use the tools in the Text pane to make formatting changes. You can quickly make blocks of text all uppercase or lowercase, or format text as a title. None: The text is left as you entered it, with no changes. All Caps: All text is capitalized at the same height. Small Caps: All text is capitalized with larger capitals for uppercase letters. Title Case: The first letter of each word is capitalized. You can add a color behind text to make it stand out. If you want to highlight text for reviewers, use the review tools instead. 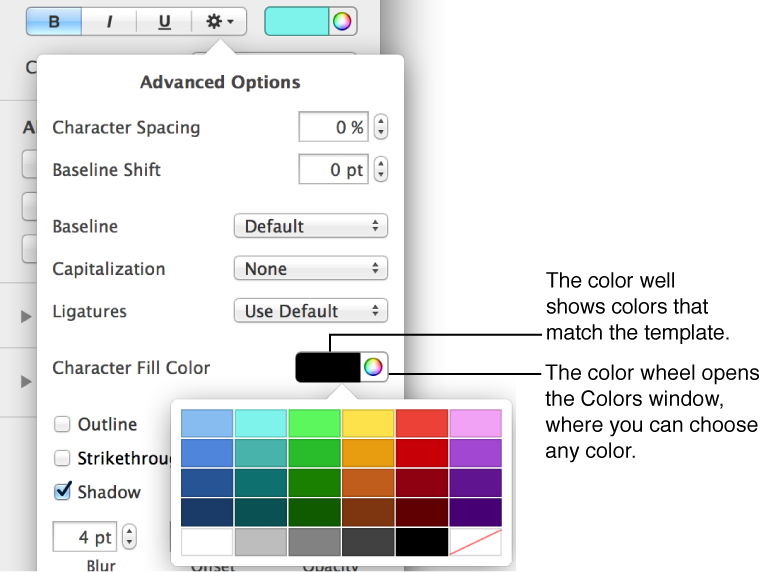 In the Font section, click , click either the Character Fill Color well or the color wheel, then choose a color. The left color well shows colors that match the template. The color wheel on the right opens the Colors window, where you can choose any color. To remove the color, select the text, then choose the No Fill block at the bottom-right corner of the Character Fill Color well that has a diagonal line through it.